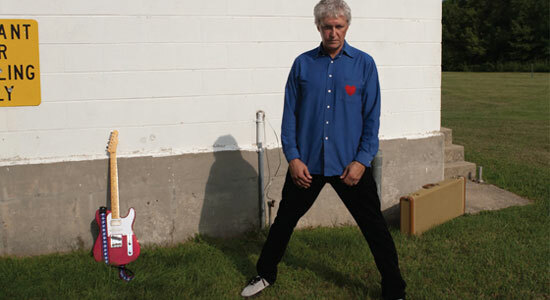 The Guided By Voices reunion tour (which is happening as we speak) is enough to get excited about, but once it’s over, you’ll have Robert Pollard’s new 18-song solo album, Space City Kicks, to look forward to. It’s out on January 15 … Pains Of Being Pure At Heart just kicked off a U.S. tour in support of its upcoming single, “Heart In Your Heartbreak,” set for a November release. The song will also appear on the band’s sophomore full-length, which is due in March … Atlas Air is the new EP from Massive Attack, and it will be released on November 22 after the band wraps up its current North American tour … The second installment of the Smashing Pumpkins’ Teargarden By Kaleidyscope project will come out November 22. Teargarden By Kaleidyscope Vol. II: “The Solstice Bare” is a limited-edition four-song EP, which will only be available as a physical release … Ari Up, lead vocalist of the Slits, has passed away at age 48 after a long battle with a serious illness … On November 26, the remastered and restored version of George Harrison’s All Things Must Pass will be released, commemorating the album’s 40th anniversary … Ben Harper, Rob Thomas, Tricky and Nikka Costa will make guest appearances on INXS’s new album, Original Sin (out January 11), which features re-imagined versions of the band’s signature hits … Bad Religion will culminate its 30th anniversary celebration with the 30 Years LP Box Set, which includes all 15 of the band’s studio albums, on November 9 … Kaputt is the ninth LP from Destroyer, due out January 25 … Plain Recordings will reissue Royal Trux’s Thank You on November 23, 15 years after its original release.